A person who has been convicted of a Los Angeles felony offense can be sentenced to prison or may alternatively be placed on felony probation for a specified period of time. 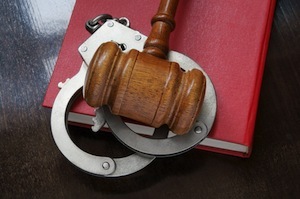 A probationary sentence means that the defendant may remain free in the community as long as he or she complies with the conditions of probation. The conditions can be very strict and violating probation can result in the defendant be sentenced to jail or prison. When a person is convicted of a felony, the sentencing judge can stay execution of the sentence and place the defendant on felony probation. This is often known as formal probation and the defendant will have to maintain contact with a probation officer to ensure compliance. When determining if a defendant is eligible for probation, the probation department will prepare a report and will make a recommendation. Certain defendants are presumed to be ineligible for probation, including those committing offenses involving great bodily injury upon a victim, offenses involving use of a deadly weapon, offenses committed by public officials involving bribery or embezzlement, drive by shooting offenses and grand theft involving losses in excess of $100,000. The probation department and Court will consider factors such as the severity of the underlying offense, the defendant’s criminal history and other factors when determining whether or not to place the defendant on probation. Even though a defendant is sentenced to felony probation, he or she may be sentenced to serve some amount of time in county jail. The defendant will get credit for any time he or she has already spent in custody. In certain cases, the sentencing judge may allow the defendant to forego jail if he or she enters a treatment or counselling program. While on felony probation, the defendant will be expected to comply with the terms set forth by the sentencing judge. This can include serving a jail sentence, completing community service or community labor, paying restitution to the victim, completing counseling and/or education programs and any other conditions of probation that the judge may deem appropriate. The defendant will be expected to remain law abiding while on probation. The defendant may also have to submit to random drug and alcohol testing. If the defendant violates probation by failing to complete one of the probation requirements or by committing a new criminal offense, he or she may be charged with a probation violation. If a defendant’s probation has been violated, he or she can be held in custody without bail while the matter is resolved. The defendant is entitled to a probation violation hearing, where the judge would determine if the violation occurred. If found to be in violation of probation, the judge can send the defendant to prison or can reinstate probation with modifications. The judge may impose additional jail time to address the violation or may impose other terms and conditions of probation. If the defendant violated probation by failing to pay victim restitution or failing to pay court fines, the Court may hold an ability to pay hearing. During this hearing, the Court will examine the defendant’s financial situation and determine whether or not the defendant can afford the fine or restitution payments. Courts have held that a defendant cannot be sentenced to jail or prison for failing to pay restitution or fines where the defendant lacks the resources to pay. However, a willful failure to pay restitution can result in a probation violation. The Court may ultimately convert the defendant’s court fines to community service or community labor hours. Additionally, the Court may extend the period of probation to ensure that victim restitution can be paid in full or the Court can convert the restitution amount to a civil judgement against the defendant. The Court may allow the defendant to terminate probation early in cases where the defendant has completed all requirements of probation and where there is a compelling reason for the early termination of probation. If you or a loved one have been charged with a felony or are already on felony probation, it is critical that you speak with a Los Angeles Criminal Defense Attorney right away. Los Angeles Criminal Defense Lawyer Michael Kraut is a former Deputy District Attorney with over 14 years of prosecutorial experience who has earned a reputation as a tough litigator who does not back down from a fight. For more information about Los Angeles felony probation, contact Los Angeles Criminal Defense Attorney Michael Kraut at the Kraut Law Group located at 6255 Sunset Boulevard, Suite 1480, Los Angeles, CA 90028. Mr. Kraut can be reached 24/7 at 888-334-6344 or 323-464-6453.